You know what simple trend I love for workwear? 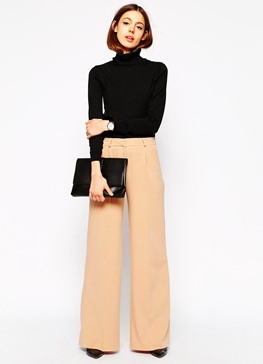 Wide leg trousers. I think they are crazy chic and make such a statement, which is tough to do with pants. When I did a quick search for them, everything I found was linen or resort wear. I'm sorry, but it's 7 degrees here. So I kept digging, and found these great winter options. I'm telling you, you can wear this. It's corporate, feminine, and creates a teeny waist. Ooooh this texture. 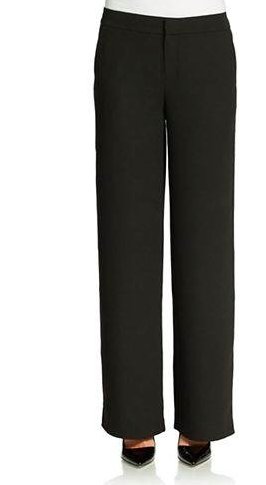 These pants are long and lean and a bit Olivia Pope. A bit bolder but this elastic waist is comfort central. I know there aren't many sizes left, but I had to grab this pair because of the price! 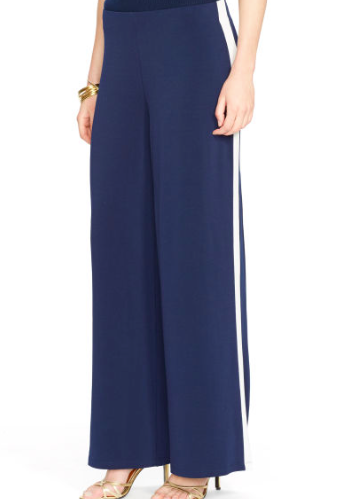 Wide leg trousers are an easy way to boost the wardrobe up a notch. They're versatile, dressy, and work with tops and sweaters that are already in your closet!